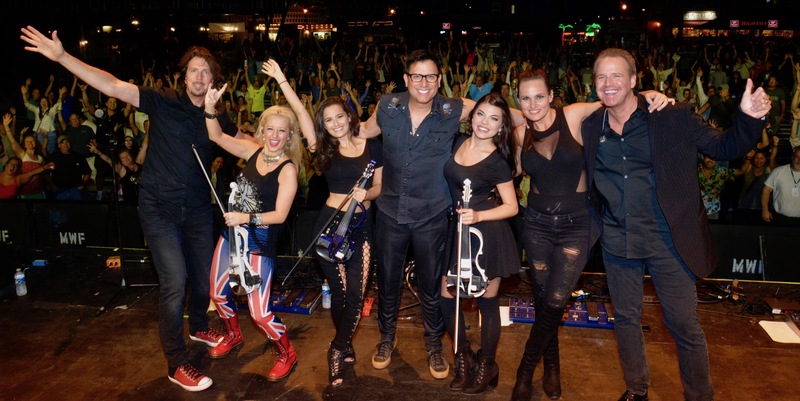 On July 22 & 23, Femmes of Rock performed for the first time in Milwaukee, WI at Festa Italiana on the Summerfest grounds. It’s pretty astonishing that the opening night (Saturday) went as well as it did. The Femmes headlined at the legendary Arcada Theater in Chicago the night before. Once that show wrapped, a car arrived at 11:15PM to drive the band through a thunderstorm 3 hours to Milwaukee. We arrived around 2:30AM and immediately went to bed. The alarm went off at 7AM for a 7:30AM pick-up for an 8AM sound check. Because it was an outdoor festival, the park doors opened at noon so we (as well as Gin Blossoms and a very cool Heart tribute band called Dog & Butterfly) had to have sound check completed by noon. By the time we hit the stage at 5PM, we felt like characters from The Walking Dead. BUT, when the going gets tough…….. There were possibly 500-600 people there at the start of our set. 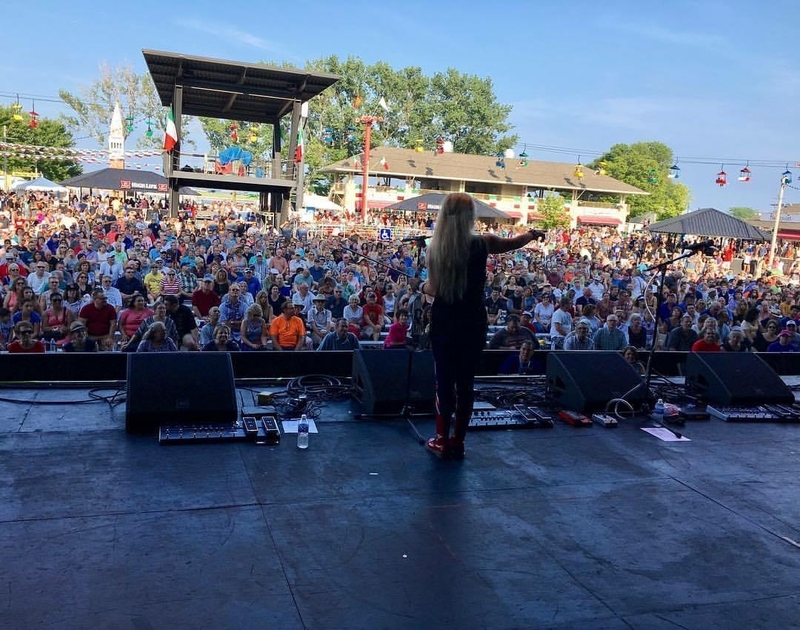 When it ended 90 minutes later, Festa President, Tim Kezman estimates there were close to 12,000 people who packed the grounds to see Femmes of Rock. It couldn’t have gone any better. 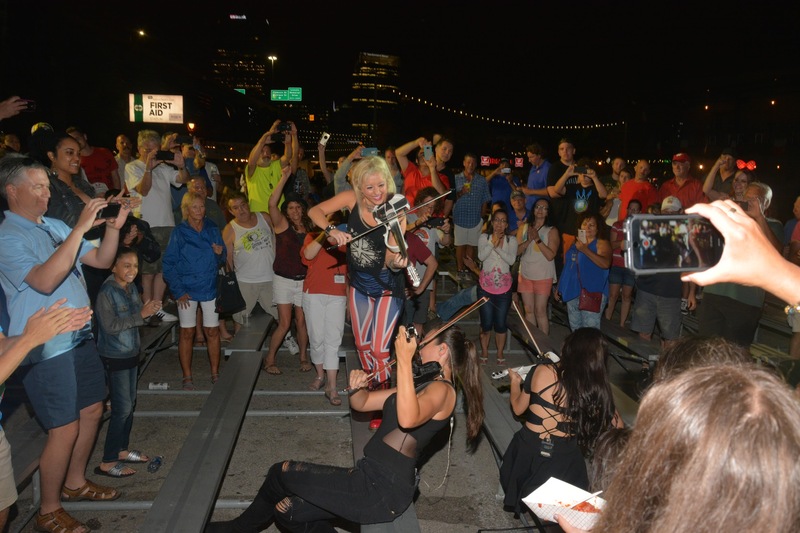 Milwaukee folks love Led Zeppelin, AC/DC and RUSH. This particular festival is known to never bring an act back the following year after a performance. Rumor has it we might be returning next summer to headline the main stage once again. Free Bird gets a little crazy. We have great friends in Milwaukee who made things very easy and comfortable for us. Tim Kezman, Rudy Valentino, Ed Ciano, Theresa Tomes, Mitch Ross, and especially Liz Ceraso, who went to bat to bring the Femmes to the attention of the board. 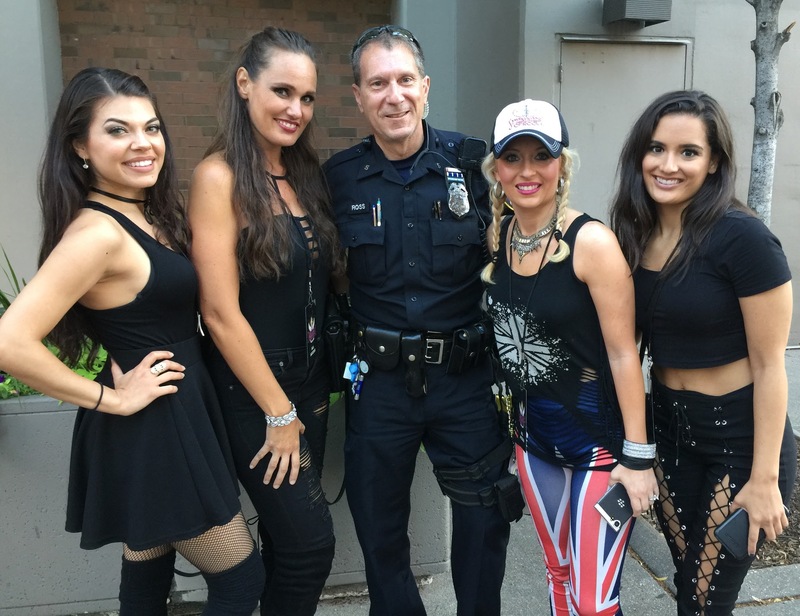 Mitch Ross of the Milwaukee PD with the Femmes. Our only regret is that we never made it to the Lakefront Brewery tour.